(Above: A “vintage” issue) Did you know PetTalk has been around over 14 years? We started as a 4 page newsletter and have grown to 68 full color pages! 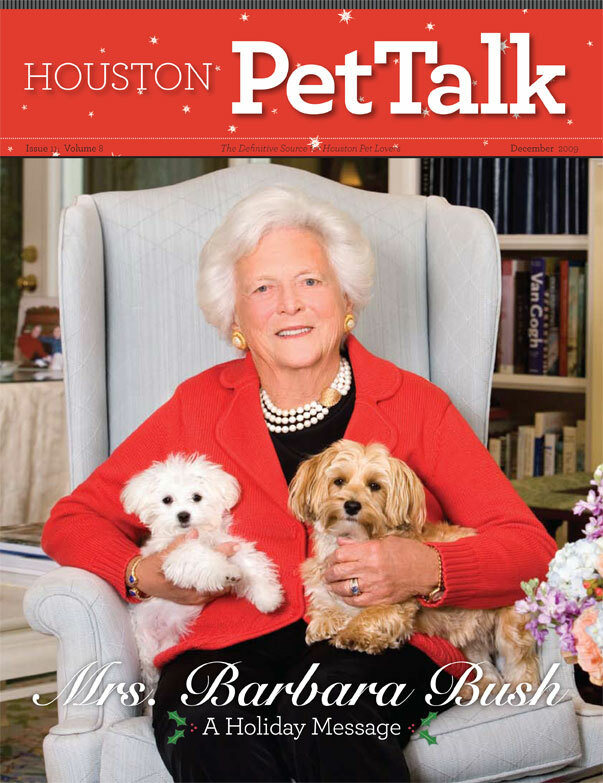 Houston PetTalk Magazine is the definitive source for Houston pet owners to find information, events and resources to make pet ownership in our community simple. We at PetTalk Headquarters are proud to say that we have been entertaining and educating Houston’s Pet Community for over 14 years. Our publication is monthly and best of all, it’s always FREE ! Distributed to over 1,100 locations in Houston, Houston PetTalk can be found in veterinary clinics, boarding facilities, grooming shops, boutiques, restaurants and other retail locations in the Greater Houston Area (Visit our Distribution Page for More Information). Plus, you can now read PetTalk online! In addition to our distribution locations and website, Houston PetTalk can also be found at many special events including charity galas, fun-runs, yappy-hours, PetFest and other pet related functions. Also, Houston PetTalk is the Official Show Guide and a sponsor of the Houston World Series of Dog Shows, one of the largest indoor shows in the U.S. that takes place each July. So fetch yourself a copy, you’ll love the informative articles and catch a glimpse of upcoming events and news. It’s easy for you and your pet to have some fun together and be “in the know” within our pet community. One last thing; don’t forget to support our advertising sponsors. Houston PetTalk is home to “Best In Show” businesses including pet resorts, boutiques, restaurants, shelters, top-notch trainers, high quality food and treat manufacturers, artists and lots more. Visit our friends and be sure to tell them you heard about them right here from Houston PetTalk Magazine!